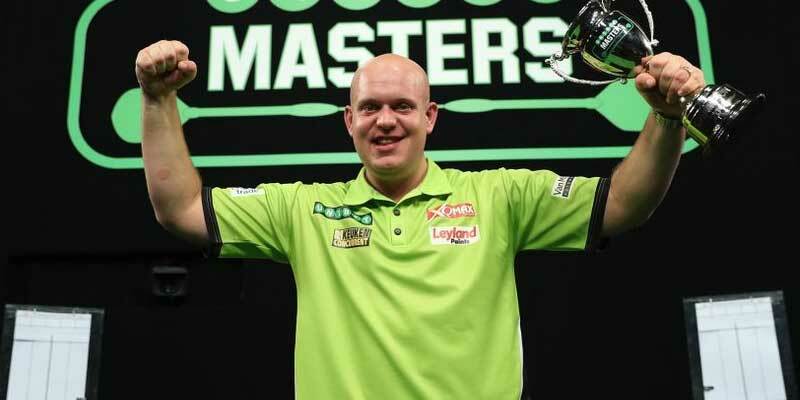 MICHAEL van Gerwen could seal his fifth successive Masters crown in its seventh staging as the news was discovered on Wednesday that Gary Anderson has withdrawn from the exhibition event due to back troubles, which have been highlighted in the past. Interestingly Anderson stated at the World Championship he needed a break, and with the back injury recurring should give him some rehab time before the Unibet Premier League programme begins next Thursday. Stephen Bunting has been appointed Gary's replacement as the next in the order of merit to gain access to an event played between the top 16 players in the world based on ranking. The sponsors of the event BetVictor, who are the new sponsor for the event in place of the World Matchplay in July, have Van Gerwen at just 4/7 to win his fifth successive masters event. Bullyboy Michael Smith is 7/1, with former World Champion Rob Cross 9/1. Adrian Lewis 12/1 and the bar 25/1 or bigger to lift the crown. Looking at the outright markets, some tight prices and a lack of knowledge from the form, since the World Championships comes into play. The 170 finish is a market I look to oppose with BetVictor punting 5/2 on ‘No 170' and 2/7 on there being a 170. The event in six years have seen just two successful finishes of 170, which makes it considerably difficult to ignore in the event's existence. The way to try and play this is taking on the overpriced fixtures and there are very few on the card of eight matches to try and call. One concern is the price of Peter Wright at 4/5 to beat Adrian Lewis. Memories of an awful World Championship for Snakebite May resonant in peoples minds from blown accumulators on the night back in December. Stephen Bunting was not in bad nick at the latter end of 2018 and was well beaten at the last 64 stage of the World Championship. Similarly opponent Darren Webster was in the same position being blown away by Dutch giant Vincent Van Der Voort and with Bunting effectively on a free meal ticket has nothing to lose from this invitational event. Punters may opt for the total legs market on this game with Sportingbet around 13/15 on the game being won 10-7 or closer by either player. Bunting will be popular on the maximum markets at 8/11 which I would not put off punters and potentially on the -1 180 Handicap if available with any firms. Whitlock and Suljovic should be close than the prices suggest and will enjoy this. It is wise not to get too carried away with this event although round one should give enough indication to see how the quarter finals may pan out.